A Litte Grebe (Cotabato) has been spotted in a private swamp in Cagayan de Oro making its first appearance in the city. The Little Grebe (Cotabato) considered to be a Philippine Bird Endemic to Mindanao had made a rare appearance last November 11, 2016 from a private swamp in Cagayan de Oro City which a group of Bird enthusiasts considered it as the first sighting in the city. Photo courtesy by Aimee Valencia. The first appearance was successfully documented by Ms Aimee Valencia, a member of Mindanao Avian Photographic Society (MAPS) based in Cagayan de Oro City whilst having her usual bird survey. According to her, it is her first encounter of the said water bird in the vicinity and was amazed by the newest discovery. 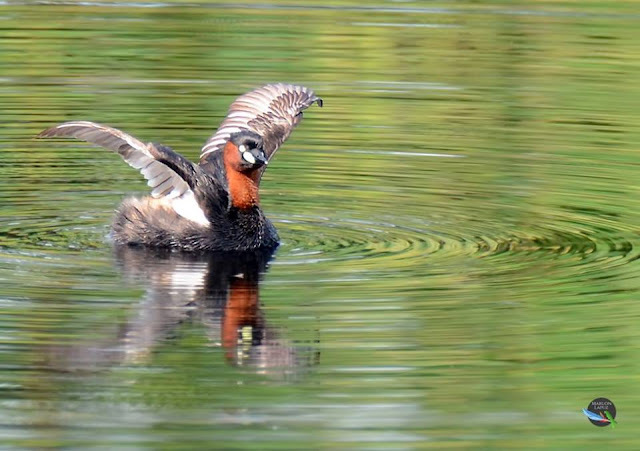 The little grebe also know as dabchick is a member of the grebe family of water birds. The genus name is from the Ancient Greek takhus which means "fast" and bapto "to sink under". 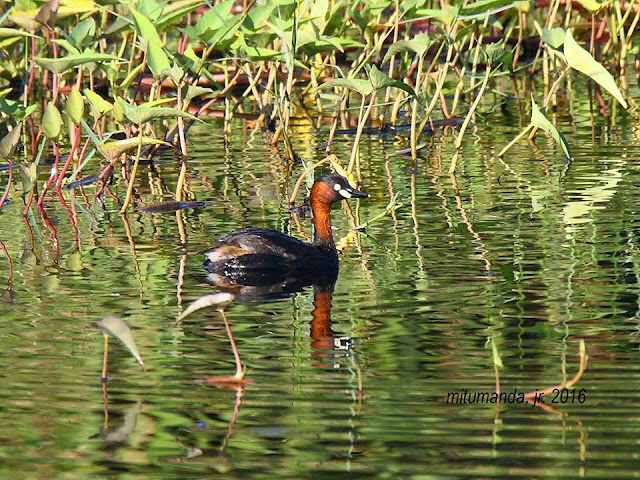 The Little Grebe cotabato is a small water bird with a pointed bill, rufous-colored neck, cheeks and flanks, and bright yellow gape with the scientific name of Tachybaptus ruficollis cotabato and considered to be one of the 9 (nine) subspecies currently recognized which is separated principally by size and coloration. It is under the Podicipedidae Family, Podicipediformes Order with a Protonum of Podiceps ruficollis cotabato. The documentation was confirmed as the first record of its kind to be seen in the City by members of the said organization. The information was then hand over by a fellow Birder, Marlon Lapuz together with other Bird Enthusiasts which eventually decided me to visit the vicinity. 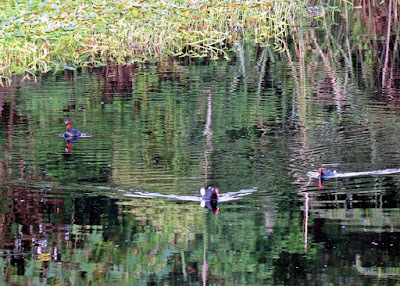 The private swamp which we called as the "Swamp" consists of more than a dozen avian species such as the Black-backed Swamphens, Common Moorhens, Bee-Eaters, Egrets, Javan-Pond Herons, Cinnamon Bitterns, Wandering Whistling Ducks, White-browed Crakes, Brown-Doves, Spotted Doves, Zebra Doves, Philippine Coucals, Yellow-vented Bulbuls, Chestnut Munias, Eurasian Tree Sparrows, Sunbirds, Swiftlets, White-collared Kingfishers, Red-keeled Flowerpeckers, and the newest member the Little Grebe Cotabato. 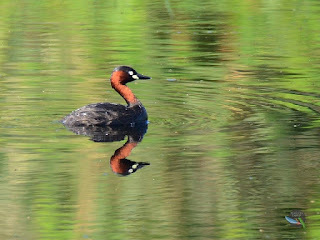 The Little Grebe as described is an excellent swimmer and diver which uses the vegetation skillfully as its hiding place. Hence, my first encounter is a tough one. 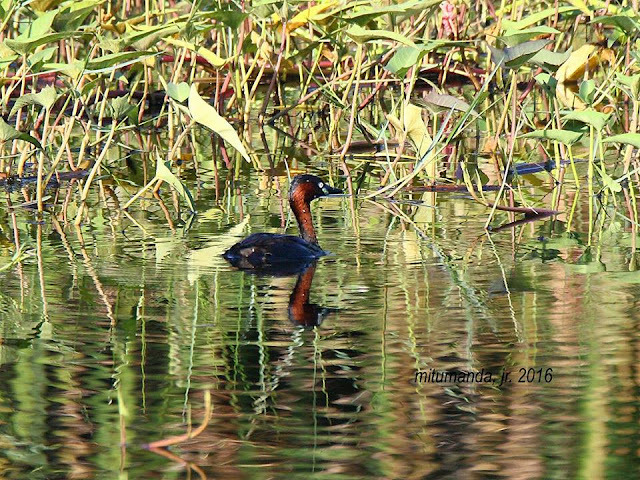 You will surely miss it when the avian started to submerge and will eventually emerge from a distance of 3 to 5 meters as per experience. As what Mr Marcelino Tumanda Jr (One of the Pioneering Members of the Mindanao Avian Photographic Society aka MAPS who worked with Dioscoro S. Rabor, the Prominent Philippine Zoologist and Conservationist) said, "If all are lovers of nature and wildlife then we wont have the Red book that lists what and how many species are already threaten or critically endangered in this planet!" Photo courtesy by: Marcelino Tumanda Jr.